The base of all things Italian. Made with tomatoes, basil and onions, perfect for pasta, meatballs, pizza, grilled seafood and braised dishes. 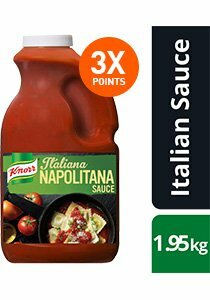 Sauce for pasta, meatballs, pizza, grilled seafood and braised dishes.